In today’s heartwarming news of the Interwebs, Sesame Street posted a most delightful video starring Ian McKellen. Gandalf the Puppet and Sir McKellan teach us in just six seconds the golden rule of manners: say please and thank you. Because when you do, well, you shall pass! It’s too adorable, my heart CAN’T EVEN WITH THIS. When Ian McKellen isn’t busy starring in two Broadway plays in rep with his BFF Patrick Stewart, totally winning the Internet, and joking around with Jon Stewart, he manages to find time to stop by Sesame Street and continue being the spokesperson for Being Great at Everything. Though McKellan is well into his 70s and Sesame Street just turned 44, both are as current and endearing as ever. Thankfully Sesame Street keeps its roster of celebrity guests forever exciting and giggle-inducing. The show also teaches kids every day about basics of reading, writing, and arithmetic as well as important lessons in how to be kind and fair. 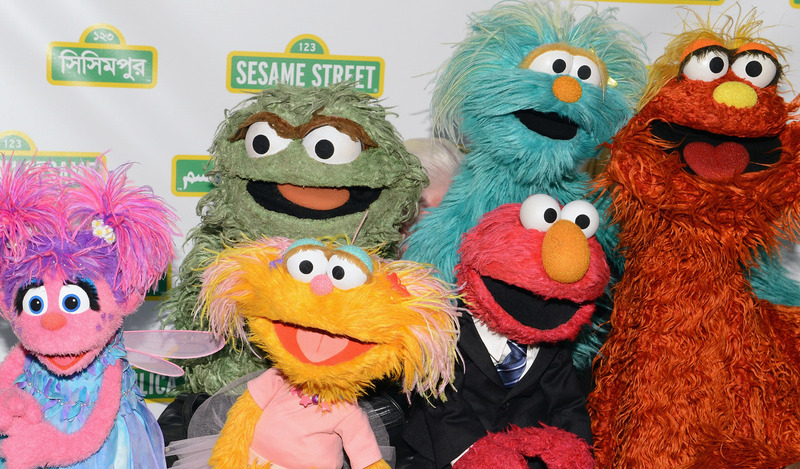 So essentially, without Big Bird, Elmo and the gang, the world would be, well, I don’t even want to think about it. Even Gandalf won’t deny you if you have manners. Kill ‘em with kindess. Or, just, don’t kill anything! Was it me or did it seem like Jimmy Fallon and The Roots had THE MOST FUN at the Macy’s Thanksgiving Day Parade. Legit more fun than Santa. Some people think patience is a thing you’re born with. Well, it’s actually a learned quality, and it comes in handy in your personal and professional relationships, and well, for basically everything. Just as Cookie Monster. The term “staycation” was invented for a reason. Wise guys, meet wise guys. If Cookie Monster can share, so can you! It’s an important time of year to give back and pay it forward. Be it a new career, a new relationship, a new city, or a new way to walk, there’s always time to take risks.